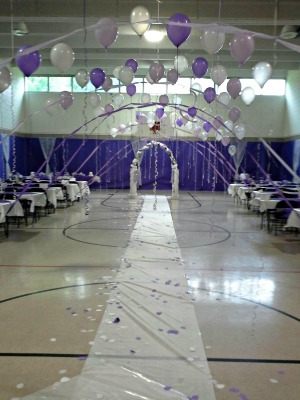 The gym and cafeteria at 4860 Q St. are available to host your event. See below for rates and fees. 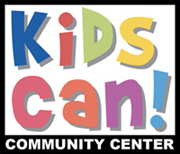 For more information, contact Office Manager Alicen Corral at 402-731-6988 or acorral@kidscan.org. Member shall not use the youth and sports recreational equipment located in the gymnasium closet. If Member uses the equipment in violation of this Rule, KCCC reserves the right to reduce Member’s deposit refund by an amount to be determined by KCCC. Member agrees that smoking, illegal drugs or weapons are not allowed at the premises and will enforce such policy with its guests. Member agrees that glass bottles, fog machines, and weapons of any kind are not allowed at the premises. 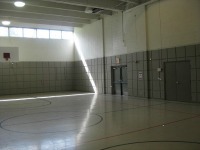 Member agrees that its use of the Facility is for private events only. Member further agrees that it shall not charge admission or otherwise sell alcoholic beverages at the Event unless it has obtained the proper license. Member further agrees not to allow gambling of any kind at the Event unless it has obtained the proper permit. Member agrees to make reasonable efforts to ensure that its guests do not park on the west side of 49th Street nor in the South View Heights parking lot (the high rise on the west side of 49th Street) and to encourage the use of the KCCC’s parking area on 48th Avenue as available. 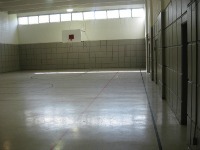 Member agrees not to exceed the capacity of the Facility (gymnasium – 250 and cafeteria – 70). Member agrees that security guards are required. KCCC will provide the security guards and the charge for security will be included in the required donation. Member agrees to pay any overtime fees and agrees that security has the authority to call in additional security at member’s expense when necessary. If alcoholic beverages are to be served, Member agrees that the alcoholic beverages cannot leave the building. Member also agrees that wristbands shall be provided to all persons of legal age to consume alcoholic beverages who intend to consume such beverages in the Facility. KCCC shall provide a security guard to review each guest’s identification and shall provide such wristbands. The charge for security and wristbands will be included in the required donation. Member further agrees that the security guard shall have the authority to remove Member's guests from the Facility if a guest is found to have violated any of the Rules and Regulations hereunder. Member agrees to pay an additional fee of $200 for false fire alarm. Clean-up requirements:Member shall be responsible for clean-up of the Facility and, in addition to clean-up of its personal property; Member shall complete the following clean-up activities. If any of these activities are not completed, KCCC reserves the right to reduce Member’s deposit refund by an amount to be determined by KCCC. pick up trash inside and outside the facility and premises.